Bicones There are 9 products. Czech Glass Bicone Light Green Beads. Czech Glass Bicone Topaz Brown Beads. 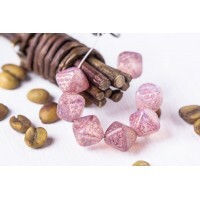 Czech Glass Bicone Cream Pink Beads. 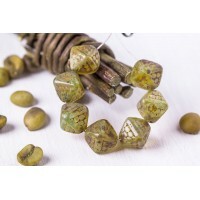 Czech Glass Beads Bicones with 'Dragon Scale' pattern. Color OPAL PINK. 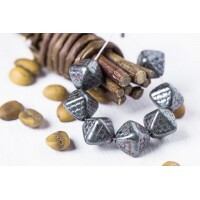 Czech Glass Beads Bicones with 'Dragon Scale' pattern. Color WHITE OPAL SENEGAL GREEN. Glass czech dragon scale bicone beads. Color WHITE OPAL SENEGAL. Glass czech dragon scale bicone beads. Color WHITE OPAL TRAVERTINE. 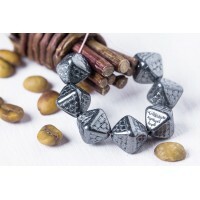 Glass Сzech dragon scale bicone beads. Color JET HEMATITE. Glass Сzech dragon scale bicone beads. Color JET SENEGAL GREEN.